Born 31st July 1888. Attended St. Peter's School, York and Emmanuel College, Cambridge. Posted to 2nd Bn 4 October 1914. 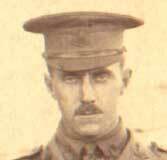 Gazetted as 2nd Lieutenant with the 3rd Battalion 8 August 1912. Lieutenant with 3rd Battalion 8 May 1914. 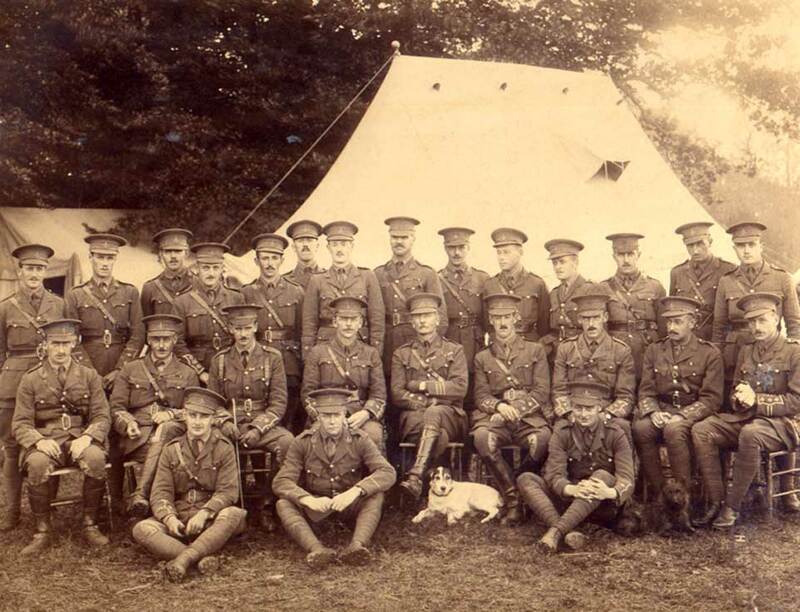 Attached to the 2nd Battalion in October 1914 and embarked for Belgium. Wounded at Gheluvelt 29 October 1914. Gazetted as Captain 3rd Battalion 1 February 1915. Acting Major 18 July 1917. 2nd in Command 17th Battalion Manchester Regiment November & December 1917 (Acting Major). 2nd Battalion Yorkshire Regiment War Diaries list him on the battalion's strength, March / April 1918. Mentioned in Despatches, Gazetted 18 December 1917. Appointed a Chevalier de l'Order de Leopold (Belgian). Awarded Croix de Guerre (Belgian) Gazetted 15 April 1918. Served in the Army until 1920. Referred to in the history of St. Aubyn's School (see below) as "Colonel". The above information is from an Index of Officers of the 3rd Battalion in the Green Howards Museum, Richmond. However, there is a wealth of information on William Harold Colley in the History of St. Aubyn's School, of which he was headmaster. William Harold Colley was born in 1888 at Grove House, Helperby, Yorkshire, the son of a Yorkshire farmer. After education at St. Olave’s Preparatory School and a particularly successful school career at St. Peter’s School, York, he went to Emmanuel College, Cambridge, where he graduated in theology. 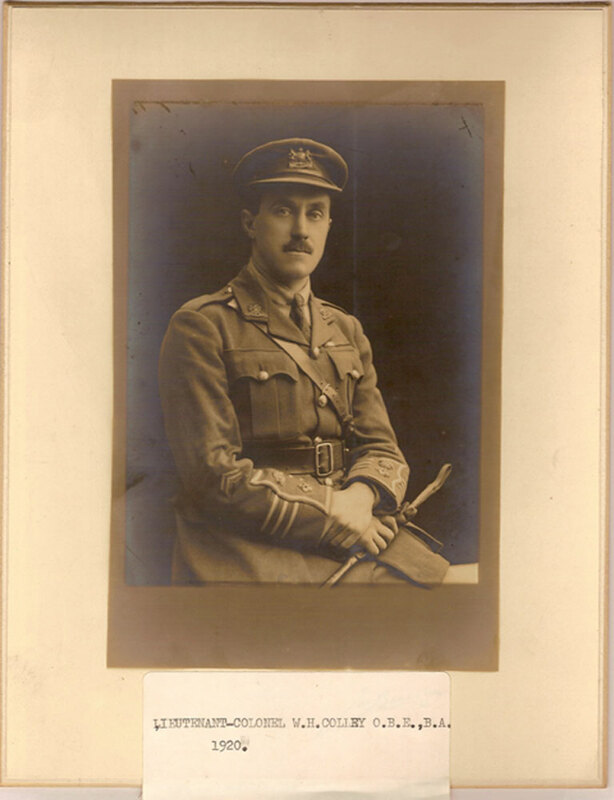 He was a keen rugby player, and whilst pursuing a career in teaching he played rugby for Liverpool and Lancashire. 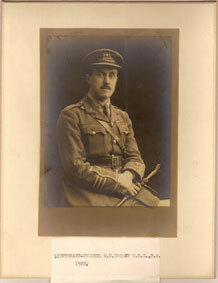 In 1912, he became rugby coach and senior house tutor at Uppingham School, Rutland. In 1920 he heard that the Misses Crump were selling their Preparatory School and he purchased it in 1922. He became the Headmaster of the School and remained as such until 1967. He died in June 1971.